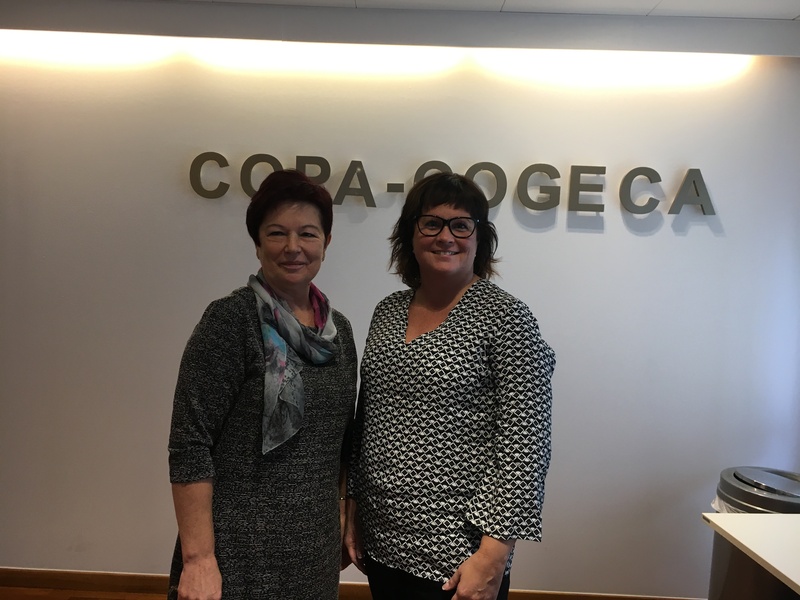 Lotta Folkesson, deputy chair of We Effect, has been elected chair for the women’s committee of Copa (Committee of Professional Agricultural Organisations). She is also a member of the LRF Board of Directors, and has been a member of the women’s committee of Copa since 2015. – My ambition is that our future will be completely equal. If so, there would no longer be a need for separate women’s committees, says Lotta Folkesson. Lotta Folkesson and Danuta Lebioda. She emphasizes the necessity for unity among women entrepreneurs within the EU, in order to keep gender equality issues firmly on the agenda for EU decision-makers. – There are several obstacles for female entrepreneurs within the agricultural sector; I will push hard to get them onto the agenda for EU institutions. Attitudes toward female entrepreneurs, low salaries, economic and juridical relations between women and men … these are some examples. It is of utmost importance that the EU take the female role in agricultural enterprises seriously. The mandate period for chair is two years.